Business Financing Solutions - Bank of Southern California N.A. You work closely with our experienced bankers so we can fully understand your business goals and structure a financing solution that puts you on the direct path to achieve them. Business lines of credit provide the perfect solution for a variety of short-term financing needs, including providing seasonal working capital, purchasing inventory, materials, or equipment, and carrying accounts receivable. Access as much as you need up to your pre-approved credit limit at any time, and enjoy peace of mind knowing that you will not pay interest until you draw on your line of credit. Payments typically are interest-only. Terms loans are perfect for more permanent business needs, including equipment purchases, tenant improvements, or business acquisition. Term loans provide regular fixed monthly payments of principal and interest, and you can choose from a variety of terms. Bank of Southern California offers a variety of flexible loan options to finance all of your commercial real estate needs, including multi-family buildings, industrial/ warehouse buildings, office buildings, retail buildings, or other real estate. We also offer highly attractive loans for construction or substantial rehabilitation of commercial and residential investment properties. The Small Business Administration (SBA) has a program of government-guaranteed loans designed to help small businesses get the funds that they need more easily and provide more flexible terms than conventional loan options. 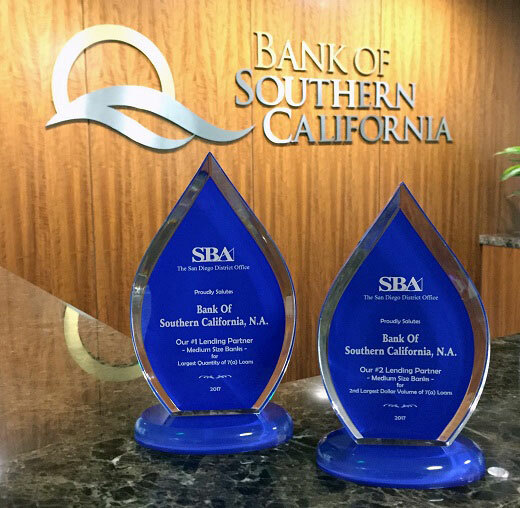 Bank of Southern California is an SBA Preferred Lender and a leading originator of loans. To help your business secure the purchase of goods and services or for bonding requirements, your personal experienced banker will help you structure your transaction and provide the appropriate documentation to meet your business needs. Track and control your business expenses with your Business Credit Card. Business Credit Cards can be a necessity when you have multiple employees making purchases for your business. We offer multiple credit cards that feature low rates, convenient account access, and rewards programs. 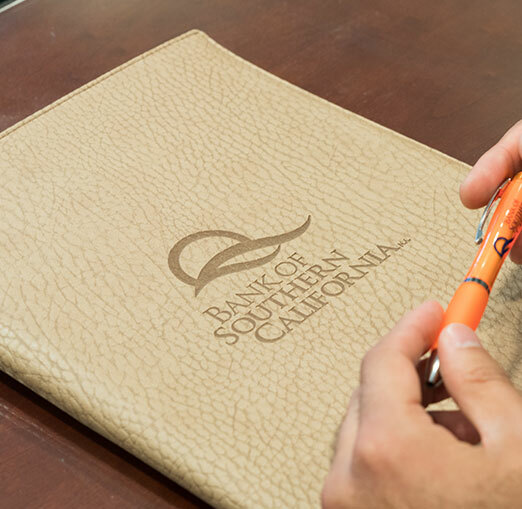 Take a few minutes to find out how Bank of Southern California can help get you the money that you need to grow your business.